William "Bill" White was elected to the Downers Grove Village Council in April 2015. 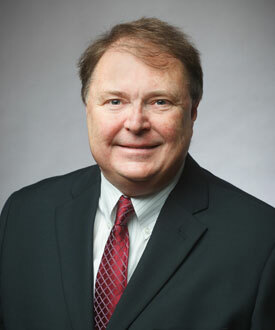 Prior to his service on the Council, Bill served as chair of the Downers Grove Zoning Board of Appeals. He became ZBA chair in 2002 and has served on that board since 1996. Bill also served four years on the District 99 Board of Education, two years as President, and he is proud that during his tenure as president the district successfully negotiated a contract that was fair both to teachers and residents. Bill previously served as chair of the ad hoc committee that reviewed the current Comprehensive Plan. The award winning Comprehensive Plan was adopted by the Downers Grove Village Council in October 2011. Bill's connection with our community goes back over 40 years. In 1973, he entered Downers South High School as a freshman and graduated in 1977. After graduating from high school, Bill attended college at the University of Chicago followed by law school at Loyola University of Chicago. While in law school, Bill worked as a law clerk at the Village of Downers Grove, under the guidance of former village attorney Barbara Gosselar. Bill graduated from law school in 1984 and in May of that year began practicing law with his mother, Frances J. White, at an office on Washington Street, just a few blocks from the Downers Grove Civic Center. Bill's law practice has been in Downers Grove for more than 30 years. football and Formula One auto racing. Bill is active with FRoG, a local non-profit that provides enrichment classes to children in our community and he coaches youth baseball with the DGYB Babe Ruth organization. Bill looks forward to serving our entire community.